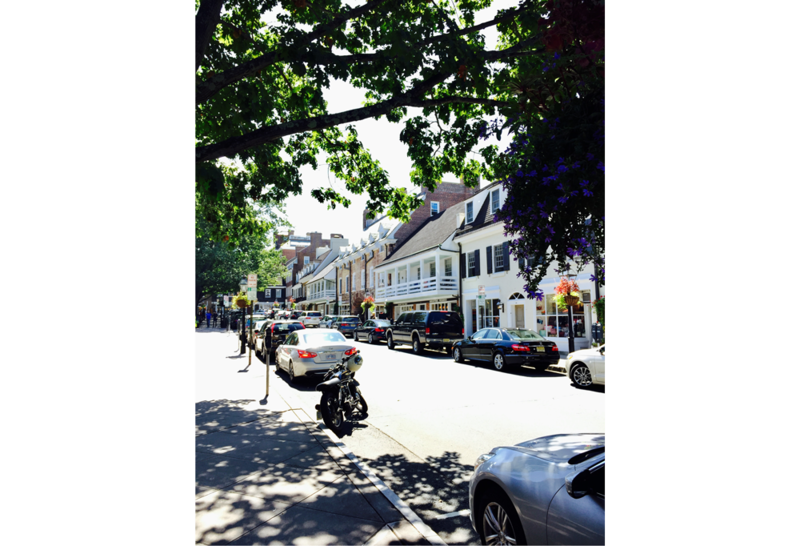 During a recent trip to the City of New York, Paul Knight extended his stay to visit the Borough of Princeton, New Jersey. While there, he explored Palmer Square and what he states is “Certainly one of the most beautiful campuses he has ever seen.” Paul kindly shares a few choice photos from downtown Princeton, the University campus, as well as highlights from an exhibition at the Princeton Art Museum in this contribution to Sight Seeing. The Palmer Square development is located directly across from the Princeton University campus in the downtown business district. Architect Thomas Stapleton created the mixed-use design for Palmer Square in the late 1930s; however, the project was delayed due to the Great Depression and was not completed until the 1980s. The Square was intended as a commercial complement to the University. 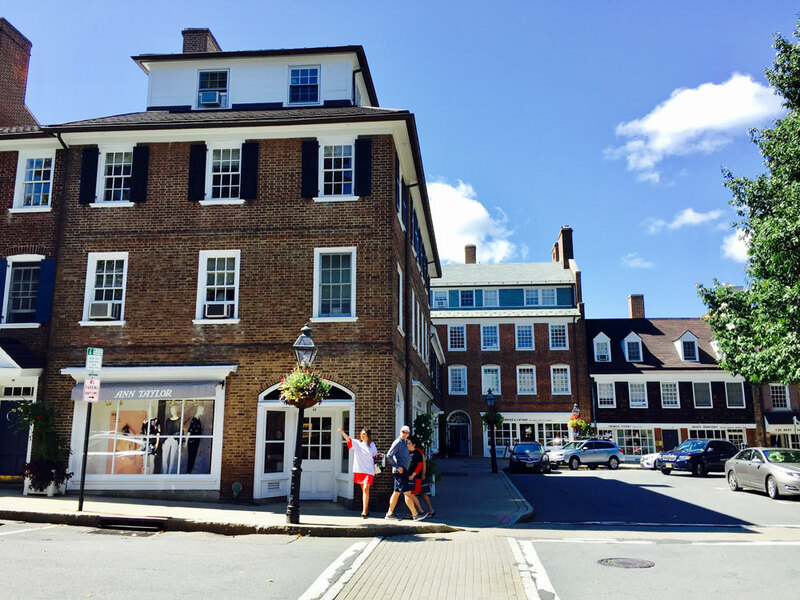 The Colonial Revival style architecture, which was popular during the time, pulled inspiration from a variety of historic towns including Annapolis, MD, Newport, RI, and Williamstown, MA. As Paul notes, it boasts a great collection of architecture; rich in materials, details, and fun elements like second-floor porches, as seen in the photo below. 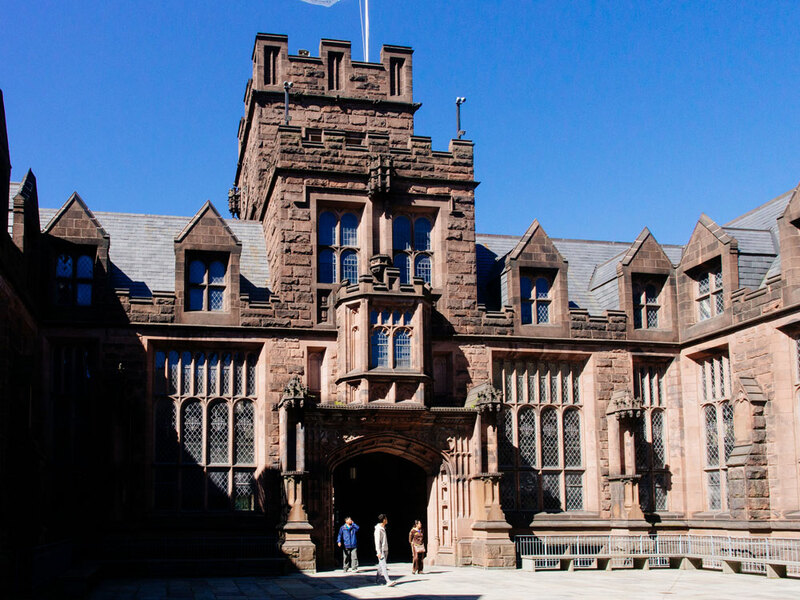 The Borough of Princeton is perhaps most famous for Princeton University, America’s fourth oldest college. 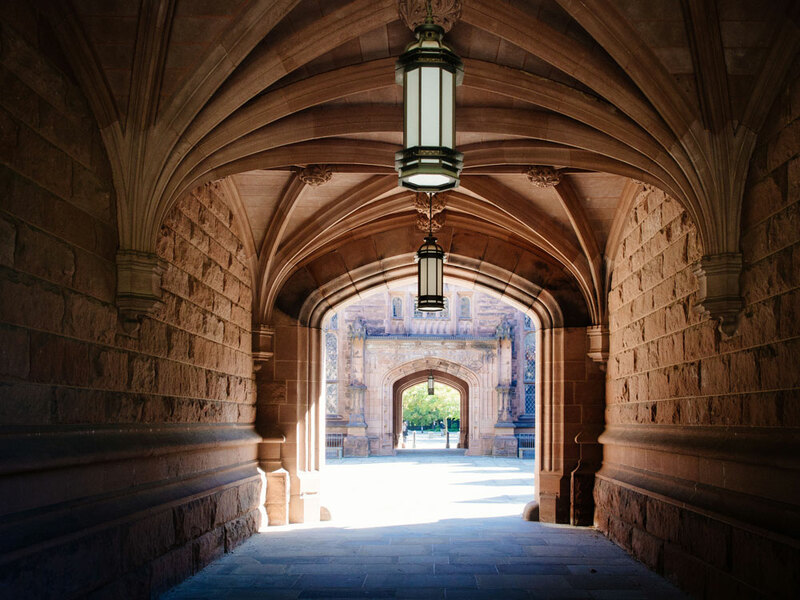 It was chartered in 1746, and there are six residential colleges (system in which dining, social, and academic life are integrated under one roof) on campus. Pictured above is one example of this unusual form of student housing at Princeton. 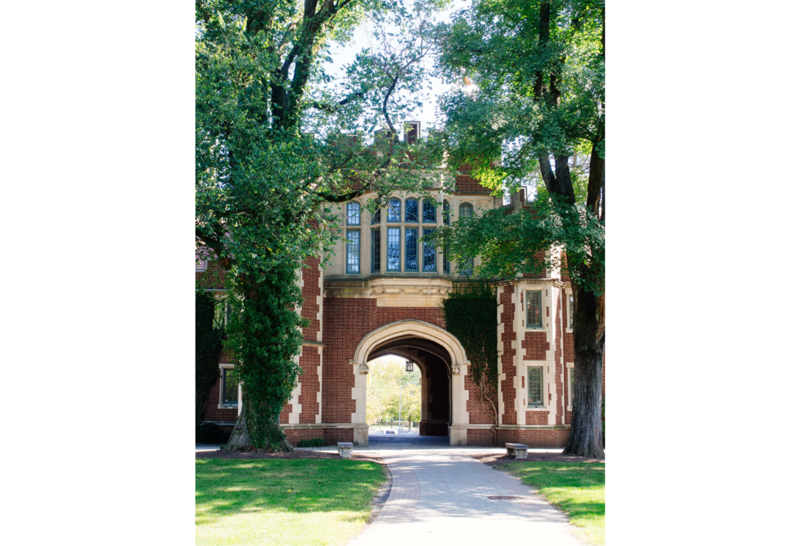 The photo above was taken standing in the arch leading to East Pyne Hall, designed by architect William Appleton Potter in the late 1800s. 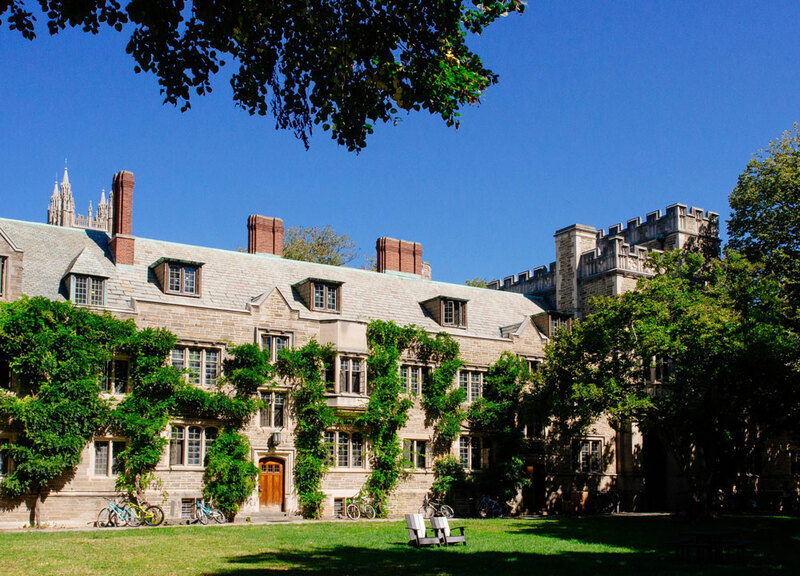 This building is in the Collegiate Gothic style, an early 20th century adaptation of the 19th century Gothic Revival style, used almost exclusively by educational institutions such as Duke, Princeton, and Yale Universities. 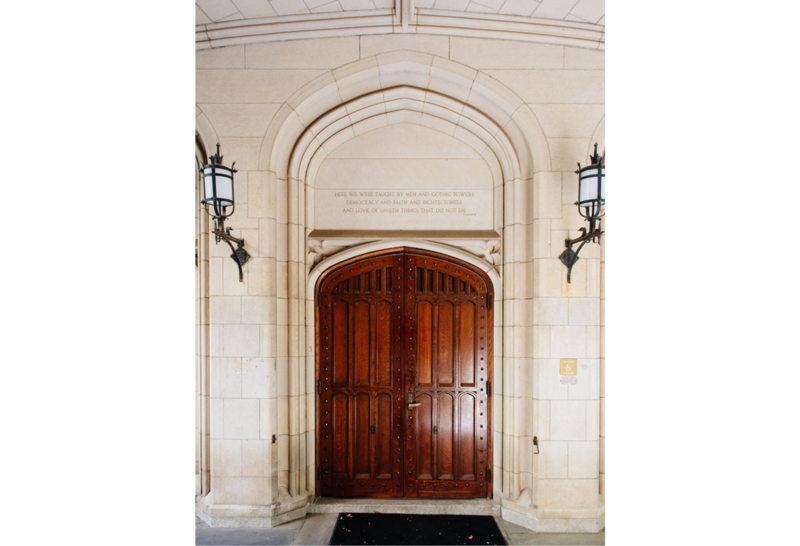 Once inside the courtyard of East Pyne Hall, it is much easier to see the fine detailing of the brownstone exterior. 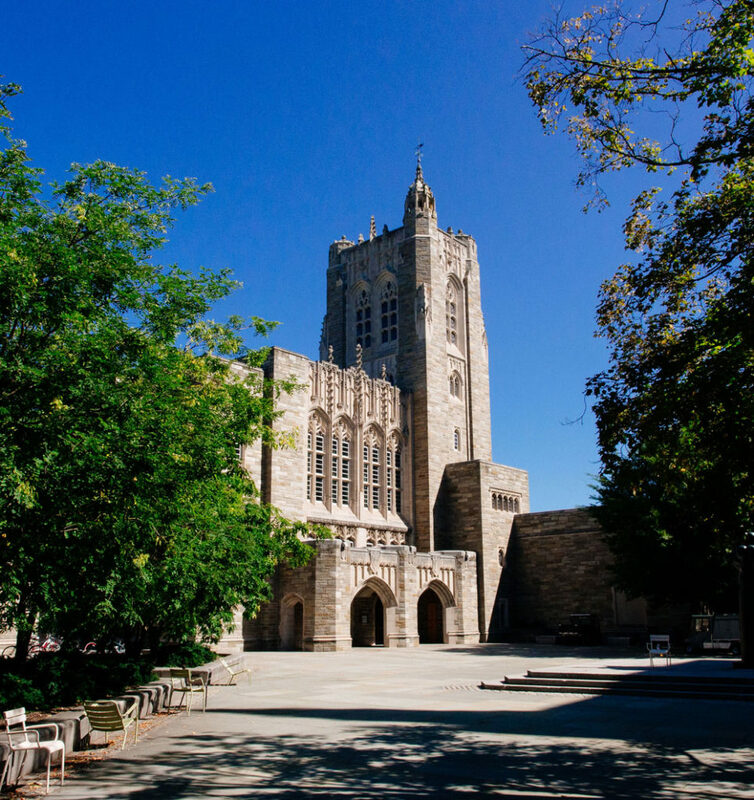 Notable features of the Collegiate Gothic style are the tracery on the windows, the crenulated parapet, and the tower above the arched entryway. The Firestone Library, seen in this photo, was designed by architect Robert B. O’Connor and built in 1948. It was the first large American university library to be built after World War II and replaced East Pyne Hall (seen in previous images) as Princeton’s main library at the time. The Gothic arch detail caught Paul’s eye here and as he wandered the campus. The Princeton University Art Museum was founded in 1882. 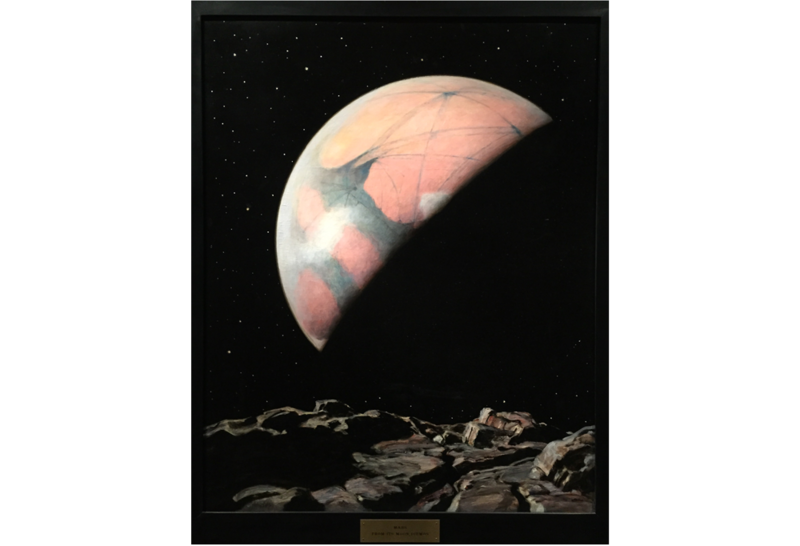 Paul stopped by the museum to see “Transient Effects,” an exhibit featuring eclipse art by artist Howard Russell Butler. Butler graduated from the University’s first school of science. 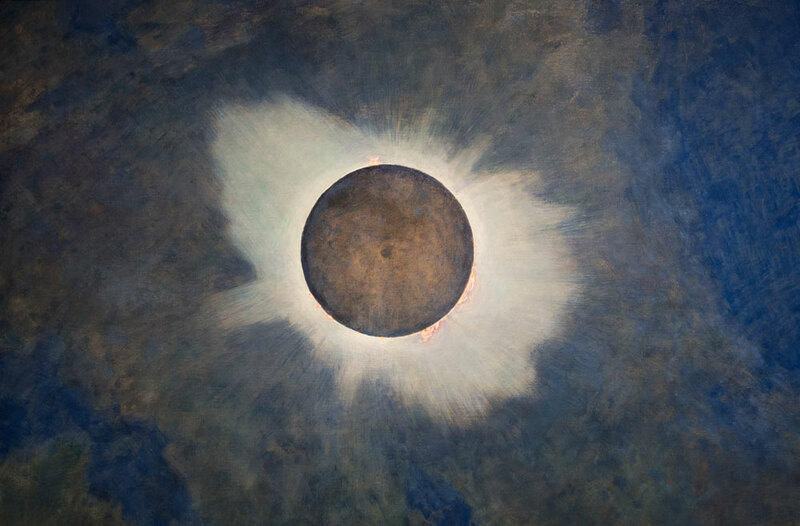 He was also the painter of a unique type of portrait; the solar eclipse. Photography in the early 20th century was simply not refined or sophisticated enough to capture the subtleties of the corona and details of prominences. In the early 1900s Butler was asked to carefully examine a total solar eclipse and record his observations. 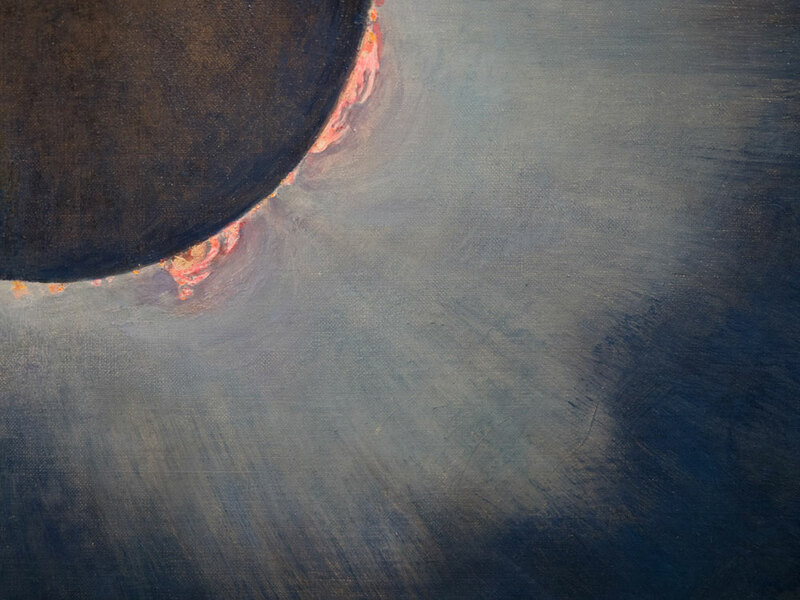 His eclipse paintings, like this one, provided an incredibly detailed and remarkably accurate record to astronomers of the time.